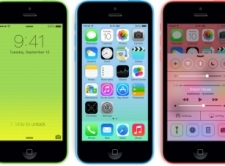 The colorful options of the iPhone 5c are what many users notice first. Available in green, blue, yellow, pink, or white, a colorful new polycarbonate finish is gaining the attention of users. Apple did not reinvent the iPhone 5 with the 5c, but instead perhaps re-imagined it for a new audience of first-time iPhone customers. Like the iPhone 5, the larger Retina display screen comes on the 5c and makes images clear and sharp. The contacts, menus, and mailbox functions are essentially the same with this model, meaning that users have efficient an email platform and basic contact search capabilities. Also like previous models, the “home” button is the only piece of navigational keys on the front of the phone. The power and lock control is located at the top of the phone and the keys for volume control are on the side. Some users find it more difficult to reach all of the buttons while holding the phone in one hand because of the new, larger screen, but it doesn’t seem to be a major hindrance. There is a slight improvement in battery life with this model, making it more appealing to those who like the phone for music and video options (as they drain the battery life much faster). The rear facing camera is the same as the iPhone 5, but the front facing one has improved recording capabilities of 720p, which usually gives a good quality video with audio. The iOS 7 brings a faster processing speed making internet access as smooth as ever for the series of Apple phones. The iPhone 5c has a similar 3-part microphone to the iPhone 5, which helps to block out background noise. Even though the 5C comes in a variety of new colors, there remains a band of antennae around the phone. FaceTime is once again a draw for people looking to purchase a new smartphone. The iPhone 5c offers a front facing camera with a decent quality, especially when users have strong signal strengths. This phone also offers the capability of switching between the front and rear camera for these video calls. The iPhone 5c comes with the new iOS 7, and with that not only faster processing, but a new Control Center for users. The Control Center is accessed by swiping upwards from the bottom of the screen, which will unveil quick and easy access to control settings for Wi-Fi, music, shortcuts for apps, a timer, and apps for the camera. The upgrades of the iPhone 5c do not seem to be intended for the previous fan of the iPhone 5, but more for new users who have yet to try Apple smartphones. The colorful choices might appear slightly cheaper, but once users hold the phones in their hands they realize that the color is a coating over the solid phone structure of previous iPhones. The draw for the iPhone 5c may go beyond the color though, with cheaper prices when under contract and availability under the major carriers. Many years from now when we look back on the history of Apple, the release of the iPhone 5c will definitely be considered a milestone, as they finally broke from tradition and released multicolored models. Not to mention that the 5c completely blew the iPhone 5 off the shelves and Apple simply discontinued its production, (which was unheard of at the time as older electronics are usually continued to be produced but sold at a discount). In any event, the system on chip continued to be the Apple A6, so here are our picks for the best online casinos for the iPhone 5c. The last few years have proven difficult for those living in the U.S.A. to find a mobile online casino that gives them everything they are looking for, especially on the iPhone 5c. This is why we here at MacCasino.net have become huge fans of the Slots.lv Casino, and consistently have them ranked as one of the best online casinos in the United States. It will only take a minute to convince you that they are the place to play, so click through below to open up an account and try out their practice casino for free. Many people who own an iPhone 5c and live in Scotland, Wales or England have emailed us asking what our top recommended casino for that device and region is. After weighing all of the factors we happily give the Bet365 Casino our full endorsement, as their mobile software runs the best on the 5C. 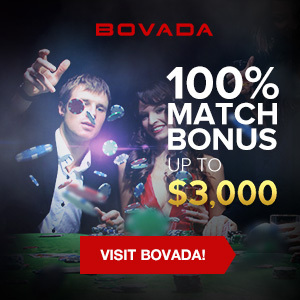 Not to mention they give away a ton of free cash and prizes in their mobile casino tournaments. Some of the Canadian reviewers who write for this site are also known to occasionally place a sports wager from time to time, so it is no surprise that they love the SportsInteraction Casino for more than just their mobile blackjack. Even though our writers may have been swayed by their sportsbook app for the iPhone 5c, we are still confident in endorsing them as the best mobile Canadian casino for the colorful Apple device.